As for the flowery pants, I finally own one! I have been looking for the perfect flowery pants and this one from Patrick Owen, come up in the mail. Couldn't be happier with the fit and especially, the colors. I paired it with a simple flowy top, a solid color oversized bag, and a simple peep toe heels to let the pants shine. I, by no mean, was sponsored by Fabrik in this post. Nor was I sponsored by Patrick Owen. I just think it's important for us blogger to have our own voice. So when I see something that I love, I would like to share the merriment, even when the brand has no idea that I love them. The reason why bloggers arising is because readers believe us to give our honest opinion, sponsored or not. Hence, let's live up to the expectation, fellow bloggers! Anyway the week is about to start. i wish fabric located at Jakarta! loving the pants <3 you look adorable! 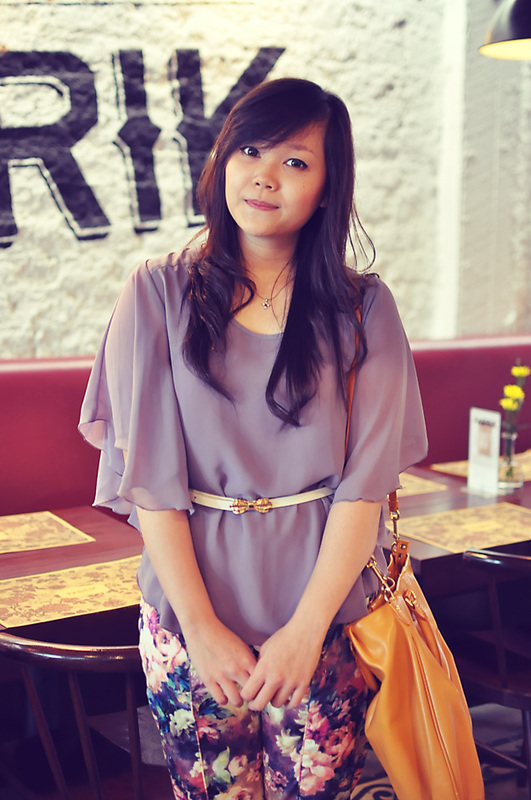 anyway check out my new post :) thanks! it's midnight here and viewing your photos makes me so hungry! haha! 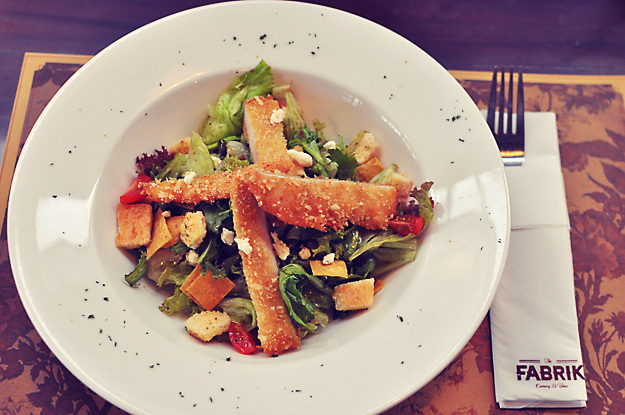 oooh the food looks so yummy ! and your outfit is so cute ! Those are some awesome pants, and the food looks so yum! Love your blog, of course, I am following you back!! loving your pants' prints ! great colors ! 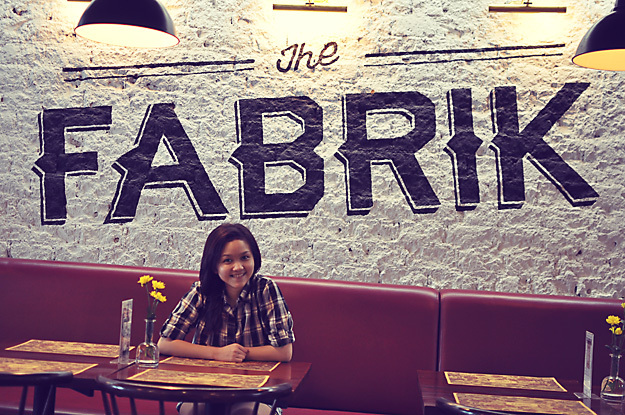 If i go to Bandung, i will definitely go to fabrik, it seems a nice place to hang out. wow ur a fashionista..totally in love with your pants! yeay restaurant! will be sure to go to Fabrik when i get to Bandung! I deeply in love with that Owen's flowery pants! lucky you that you can have one! that cake looks yummy! u look lovely. nice bag! oh yum, that cake looks delicious! 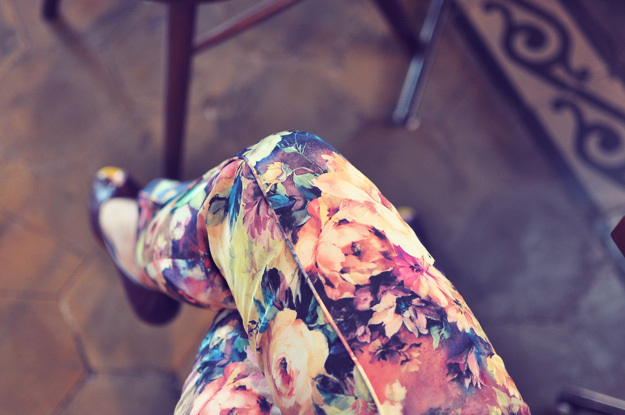 and i love those bright floral pants of yours too. 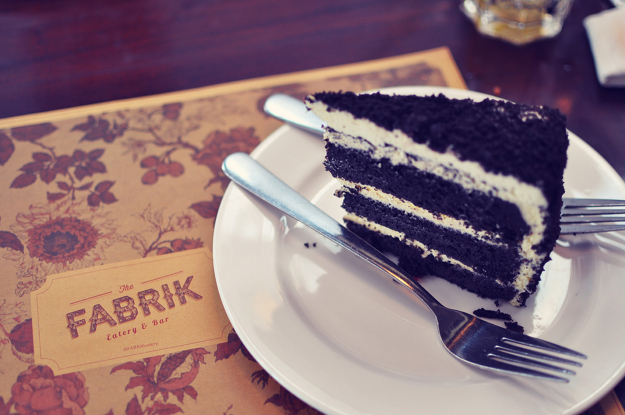 Fabrik looks like a great place and the food looks so yummy. Your bow belt is really cute! I love how you styled your pants and I love it when bloggers support local artists. Especially when it's not a sponsored post.